In this post i will explain how XSLT can be used to hide the list columns in forms for users with insufficient previleges. 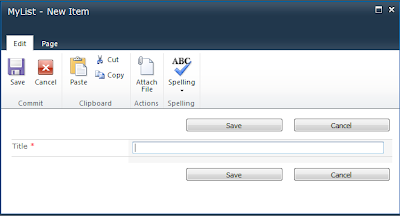 After you open your site and the list in SharePoint designer, create custom forms for New, Edit and Display forms. Open each of the forms and select the column which should be shown based on user permissions. Expand the Conditional Formatting option on the ribbon and select Show Content. In the next screen click on Advanced. This function will determine whether the current user has the rights specified and will do the formatting accordingly, based on the result. 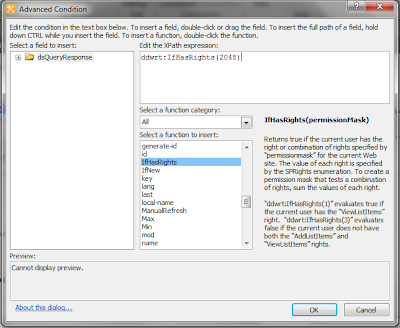 The permission mask specified is determined as the sum of the permission masks for the permissions required. Below mentioned are the permission masks for the permissions. Give appropriate mask as shown in the screenshot above and save the form. The next time the users open the form, they will see the column only if they have enough permissions. This is how the form will appear for users who do not have enough previleges. Your blog is like encyclopedia of SharePoint. Great piece of work. I have a doubt, users of what kind of permissions will not see the Department column ? Thanks for that comment :). 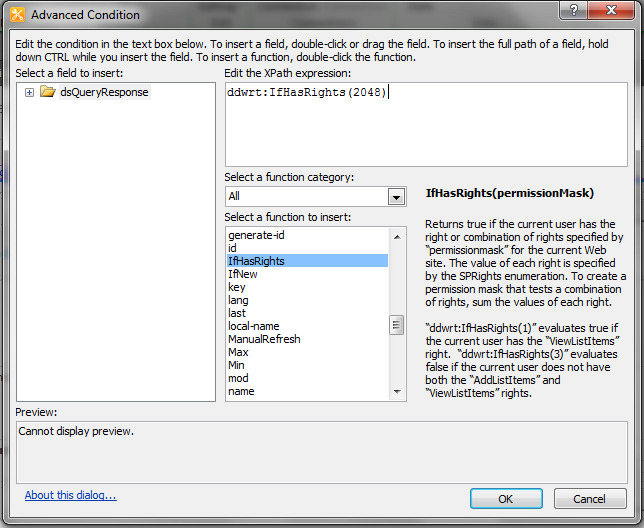 In the example shown(screenshot) the permission mask used is 2048 which is for Manage Lists. So the users who have these permissions will be able to view it. It will be hidden for all the other users who do not have this permission.